Harbortronics has discontinued all of our older designs, and has moved all of our new designs to www.Cyclapse.com. The reliable but ancient DigiSnap 2000 series controller has finally been updated to the fantastic DigiSnap Pro! The old fiberglass housings are gone, replaced by the specially designed Cyclapse housing and it's series of mounts. The legacy Time-Lapse Package has been supplanted by the vastly superior Cyclapse Pro system, offering more features at only a slight price premium. Harbortronics.com has been around since 1998! 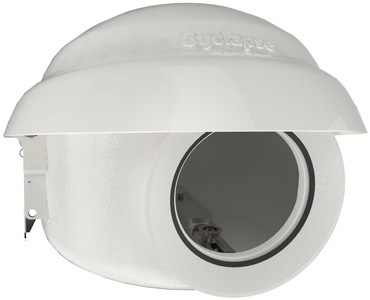 Please join us and change your links to www.Cyclapse.com for the future in affordable, high quality time-lapse equipment! We serve professional and amateur photographers worldwide. We can help take your imaging to the next level. DigiSnap products are being used to document construction projects, control cameras on ships in the arctic, to make time-lapse scenes for TV and movie projects, on the helmets of skydivers, inside underwater housings, mounted on cranes, microscopes, telescopes, as well as studio and field tripods. We can customize our products to suit your application as well! E-mail [email protected]! Quality Service and Components since 1998! Advanced time-lapse controller with integrated power supplies and networking for long-term time-lapse photography. “I've been playing with it a lot over the weekend and it's working great, I'm really impressed with the package.” David C.
“You guys are wonderful, as always!” Matt B. "I was pleasantly amazed by how fast you got our order to us. We received it yesterday afternoon, less than 24 hours after we placed the order!" Paul B. "I love the ruggedness of the unit, nice set-up you have made!" Steve H.
"The Harbortronics equipment has been flawless. The units have weathered storms, long rainy period and extended periods of 40C/100F degree weather without a hitch. I wouldn’t hesitate to recommend them." Paul M.
“I'm very enthusiastic about the product, it solid and impressive.” Ruben K.
Wow, these cameras are great! The old system was really good, but you've obviously spent considerable time refining the new version - really impressive. James in U.K.
“Very impressed with the customer service at Harbortronics.” David B. "This week I was researching for another solution, but I have to say yours is the best! Pricing, handling and support are superb ;) Michael K.
"I have to say that your time-lapse system I bought last year has worked perfectly well outdoor during 10 months, 144 pictures each day. I am really satisfied." Pierre R.
"Congrats on the great customer service and quick answers!" Jordan W.
“We collected some terrific data with our time-lapse systems, great systems!” Gordon H.
"I received the DigiSnap, cable, and extras. Thank you very much! It works wonderfully. It has been a pleasure to deal with a company that stands behind a product with excellent customer service. Harbortronics name will be passed along to others." Chris C.
"You guys do an amazing job, both the products you offer and the over-the-top service and support you provide. It is easy for me to talk to others about your products and services, encouraging them to give these things a try." Bruce M.
Hats off to the most AMAZING company ever! Thank you for the super speedy delivery! Justin O. "The systems have been really great. We’ve used them on about half a dozen jobs each and they’ve performed really well." Paul M.
“Mark was very knowledgeable and extremely helpful with all my questions” Joe T.
"Firstly, we'd like to say, the enclosure and the job you did on the extension is AWESOME!" .... "Thanks again, this is ridiculously cool!!" Usman F.
"Your system worked perfectly for over a year shooting everyday in hot weather." 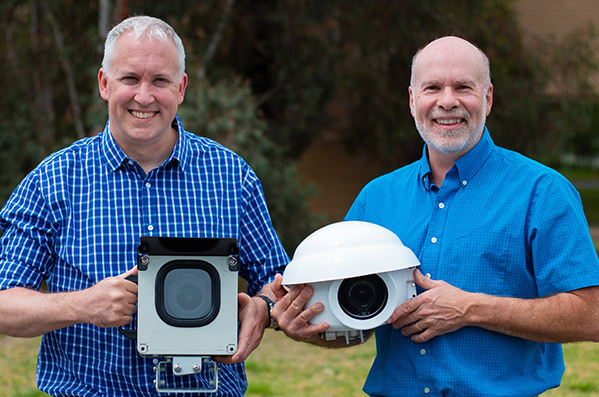 Rami T.
“I have to say that the Time Lapse Camera package looks awesome - I am most impressed with the extent to which you have resolved any concerns or questions I had.” Phillip H.
“SUCCESS !! The converter you sent works as well as the attached 10.5 app. I used the old converter again and it shows no connection so that was the problem. Mark takes a lot of blame when it's not his fault. I really appreciate the great customer service. You guys go well beyond.” Doug P.
"Very impressed with the new housing. Like the main on /off switch much more compact and you can just turn the back plate around 90deg if you want to shoot horizontal or vertical ,very good. the way the mount works is very clever too nice one!" "I'm sold. You're too knowledgable for me not to go with you and Harbortronics. I really appreciate the quickness of your response and the hyper-detail." C.
The unit has worked reliably for 3 years in the desert, while subject to many dust storms, lightning and temperatures from -20 degrees to over 125 degrees fahrenheit. “Our client has been very impressed with the time-lapse system you guys have built!” Jim R.
“Thank you so much for the speed at which the time lapse package arrived. Very impressed.” Mark D.
"I just finished using your TL equipment on a 12 month job up in the Pilbara region of Western Australia and it worked perfectly." Darryl P.
"I have to compliment you on your support. I don't think I've dealt with any other outfit that responded so quickly to questions. Thanks!" Mark P.
"Your boxes are working flawlesly." "We borrowed a colleague's system for a 3-day test last summer, and were very impressed with the easy setup and integrated design". Gordon H.
"I am VERY impressed with the package, the shipping and your overall service. I was stunned to receive the camera at my home in Australia on Tuesday lunchtime, only two working days after ordering. Big props to both you and Fedex!!!" Cameron L.
"We recently ordered a pair of DigiSnaps - it took a few minutes to figure out how to get them to run with my mac laptop (a keyspan cable and the program zterm did the trick!) and we were off to the races. I'm completely impressed with their simplicity and flexibility!" Rodney A. "You and your team are awesome, Thanks you for the fast shipping time!" Cameron K.
“I appreciate your support and I may mention that I'm very impressed with the equipment.” Waldemar M.
"My Time-Lapse camera has arrived and I am very happy with overall quality and usability. Thank you!!" Nic M.
“You have always provided wonderful customer service and I appreciate it!” Michael B. "I am continually impressed with how clever the DigiSnap is! You've managed to cram a great deal of features into a tiny, low power device. And when changing the battery recently, I was equallyimpressed with your electronic construction; very compact, lots of surface mount, very efficient. Really good job!" Les M.
"Thanks for sending the kits through quickly, I'm very happy with the promptness and ease of my order!" Ian P.
"Found your site via a Google search and am very impressed with your products. I've read through your document titled "Long Term Time-Lapse Digital Photography" and perused your website". Robert B.